The BVB4200WP video balun is waterproof and able to be used outside. Because of its ultra-miniature size, the BVB4200WP greatly saves space during installation. Working in pairs, the BVB4200WP eliminates costly and bulky coaxial cable, allowing live CCTV color video signal up to 400m (1300ft). The superior interference rejection and low emissions of the BVB4200WP allow signals to coexist in the same wire bundle as telephone, datacom, or low-voltage power circuits. This allows the use of a shared or existing cable infrastructure. The BVB4200WP has built-in surge suppression to protect video equipment against damaging voltage spikes. Its crosstalk and noise immunity ensure quality video signals. 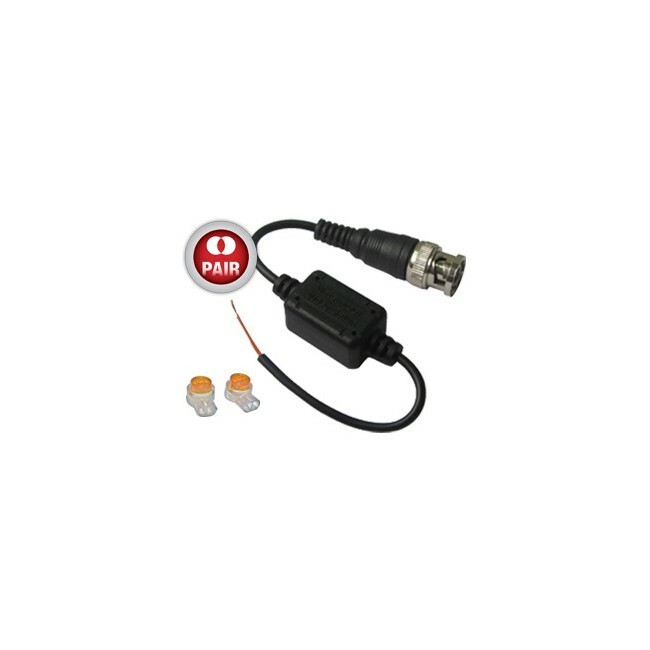 The DOSS Range of UTP Video Baluns allow you to connect your CCTV system using cheaper, thinner, lighter and more readily available CAT5E cable rather than expensive and bulky RG59U cable. The passive (non-amplified) baluns allow transmission of realtime CCTV video signals over cost-effective Unsheilded Twisted Pair (UTP) cable, without any compression, loss or signal degradation and without the need for extra power supplied to be installed. Baseband (composite) signals of any type are supported.